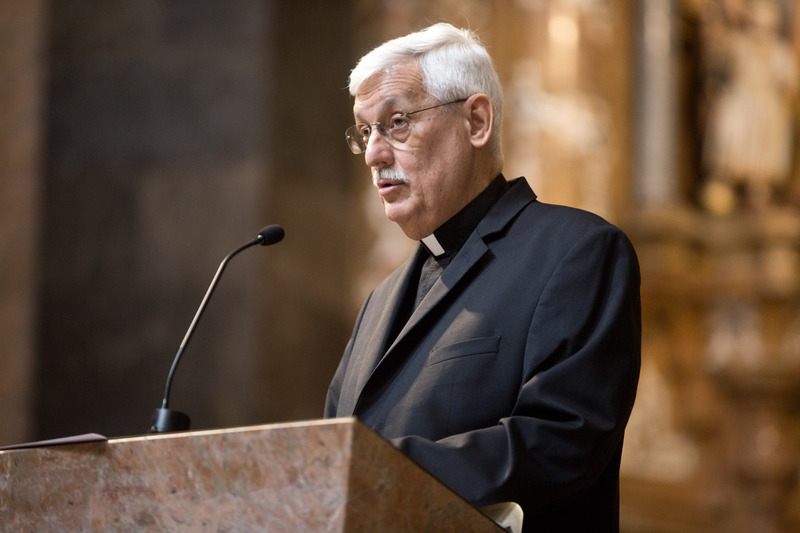 Superior General Arturo Sosa SJ started his address by saying that the Society of Jesus’s universities’ endeavour is “deeply committed to the processes of reconciliation”. In fact, “it takes on its meaning through the desire to effectively contribute to enabling a dignified full life for each and every human being”. The Society of Jesus has found that the university is “a formidable space to put into practice the mission received from and inspired by the Gospel, to determinedly promote social justice and environmental sustainability through dialogue with cultures and religions”. Father Arturo Sosa SJ had encouraging words for the intellectual apostolate of the Society of Jesus. An apostolate that is based on dialogue: “Intellectual work is apostolate when it is carried out in the open, not locked in a cabinet or within the comfort of its own certainties”. He also invited universities to offer an education aimed at “universal citizenship”, which means that we understand ourselves as “being part of a complex relationship with the other human beings that make up the human community”. In the Superior General’s opinion, “becoming world citizens” should be “one of the outcomes to be achieved from studying or working in an educational institution of the Society of Jesus”. He reflected on the identity of Jesuit universities warning that “being loyal to our tradition means creatively responding to the signs of the times”. “Experiencing the tension of creative loyalty is a profound demand of the magis of the spirituality that inspires us”. To handle those tensions, Jesuit universities rely on an identity that leads them to “bind people’s lives to a more humane world, advocating justice and reconciliation among individuals, peoples and the environment”. The entire university community is called upon to embody this identity that ensures creative loyalty in the educational tradition of the Society of Jesus. Finally, he mentioned two current challenges of the magis at universities that have a lot to do with the reasons that brought us to Loyola. The first one lies in “overcoming the geographic and social boundaries within which our university institutions operate”. The second was handed down to us by the 36th General Congregation, inviting us “to promote a culture of safeguarding vulnerable people”, which means promoting a “cultural change” that touches on the unjust structures of current societies. We can only respond to these challenges through collaboration: “by using the current means available, collaboration can be increased and become more efficient through networking”. But collaboration involves “a culture of generosity, which overcomes the tendency to look after and increase resources only for the use of each individual university”. He concluded by emphasizing that the Assembly held at the University of Deusto this week is “seeking to make history on this path of discernment, in apostolic planning, collaboration and networking” by creating the International Association of Jesuit Universities (IAJU), through which “we can welcome a new era and a new style of fruitful work within the university”.